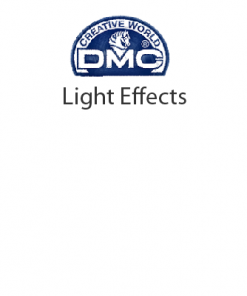 DMC Light Effects is a beautiful range of threads that will add reflective qualities to your stitching. Colours include precious metals, jewels, antiques, pearlescent, fluorscents and glow-in-the-dark. This 6-strand thread is used in the same manner as DMC Six Strand Embroidery Floss, and adds light and accents to your creations.